Bristol City Council is in the process of installing four charging points for electric vehicles. All of these units will be located near the M32 and restricted to taxi use exclusively. This effort comes as part of a £300,000 grant provided by the government in support of lowering taxi emissions throughout the city. These four charging units will have eight bays and will be able to charge a taxi rapidly. Although the units are specified to be located near the M32, the precise location has yet to be determined. Officers are brainstorming methods for ensuring that only taxis are able to access these charging stations. 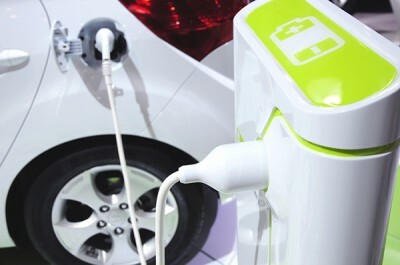 They want to ensure that other drivers don’t take advantage of these electric charging units. Bristol City Council is also revamping licensing regulations for taxi drivers and implementing incentives to encourage the switch from diesel to electric vehicles. The council released their new licensing policy for taxi drivers in April of last year. The new Hackney Carriages have to be ultra-low emission vehicles (ULEV). All replacement to these vehicles must also have an emissions standard rating of Euro 6 or better. Vehicles used for private hire are also required to be petrol or better. Cllr Kye Dudd is a member of the cabinet for transport in Bristol. He said that the board was delighted to get the government funding to help reduce pollution in the town and encourage taxi drivers to switch to electric vehicles. The Bristol City Council has been busy brainstorming ways to make the city more environmentally friendly. The key is to find ways to accommodate the city’s current transportation needs at the same time. The city council is currently proposing a bus lane that would run 24-hours. This proposal would come with several traffic restrictions on the A4018. This highway links the northern portion of Bristol to its city center. 2,500 locals have already signed a petition to keep this change from happening. Brstol City Council has justified the proposal for many reasons. First and foremost, the change will reportedly decrease congestion that is experienced in the area. Secondly, the city council hopes to improve the traffic in this area for a housing development that will be built at the Filton Airfield. If the proposal is implemented, only bikes, taxis, and buses would be allowed to travel down High Street. Many one-way streets that are currently in operation would be reversed. Ten different junctions would be blocked as well. Many residents argue that these changes would disrupt the flow of traffic in the city. This could result in the loss of many businesses and other unintended consequences. In addition to a decrease in traffic to local businesses, owners are also worried about supply chains.